The number of Civil War publications is almost as numerous as the stars. HELP BATTLEFIELD PRESERVATION WHEN YOU BUY BOOKS! We have received a very generous offer from Savas Beatie Books. Whenever you, your friends and family purchase a book from their web site, they will donate 30% to our CWRT for battlefield preservation. 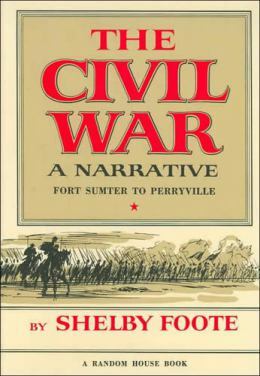 This offer applies to any book; any topic, including Civil War and other general and military history titles. Almost all books are either signed by the author, or ship with a customized signed book plate. Simply enter the coupon code – CWRTSanGabriel – when making your purchase. Savas Beatie has long been a supporter of CWRT groups, as well as a vendor at the West Coast Civil War Conferences. Once again, they are doing their part for battlefield preservation. The Rappahannock Valley CWRT (Fredericksburg, VA), has an arrangement with Amazon.com to benefit the cause of battlefield preservation. If you go to the Amazon website through their link, AT NO EXTRA COST TO YOU, the folks at Amazon will give them a percentage of every dollar you spend there. They will donate their commission to the non-profit Central Virginia Battlefield Trust, which will use the money to preserve Civil War battlefields in the Fredericksburg area. See http://www.cvbt.org. You must use this link to go to Amazon.com, or historic preservation won't get its cut from Amazon’s profits, and you won't feel that extra little tingle of joy for helping preserve hallowed ground. Besides books, Amazon sells cameras, GPS units, DVDs, CDs, MP3 players, athletic shoes, gourmet food, infant apparel, and in fact probably just about everything you can think of. Shipping is usually FREE for orders over $25 if you select the Super Saver Shipping option. This deal is ongoing, so you might want to bookmark their link. Please help battlefield preservation whenever you use Amazon.com.